ThinkTank is responding to the current trend in the photo industry of smaller and lighter camera gear. The StoryTeller series of bags may be smaller but do not compromise on build quality or protection. 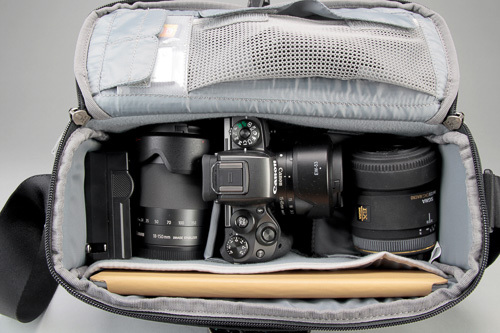 This largest bag in the series will hold a full size DSLR, accessories and perhaps two additional lenses. Adequate for most day trips away from the studio. Moving into the mirrorless realm where the cameras, lenses and other gear are reduced in size and weight, this StoryTeller 10 can hold your whole kit. Including a 10 inch tablet. 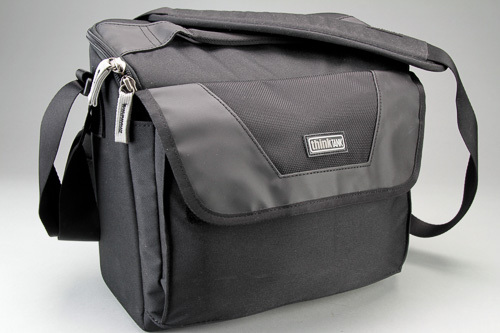 The top flap opens outward giving unrestricted access when carrying the bag on your shoulder. This is where one will find the dedicated tablet pocket that does hold my 10.5” iPad Pro with a very minimal case. 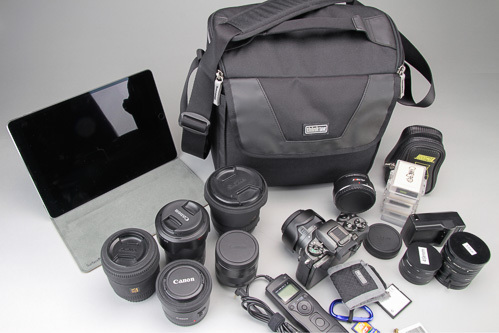 Photographers with larger tablets or ones with bulky protective cases will have difficultly with this setup. 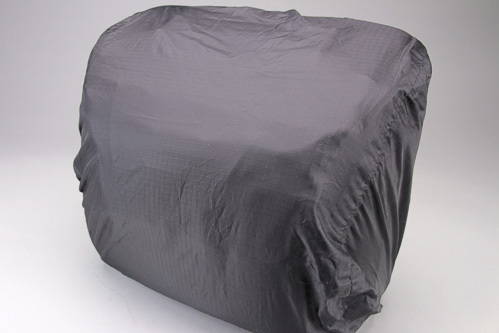 The main compartment includes numerous movable dividers to allow a custom fit for your gear with maximum protection. The lighter grey color of the interior makes it easier to identify the black lens or accessory that you need quickly. A zippered mesh accessory pocket and 2 translucent media pockets are features of the top flap. 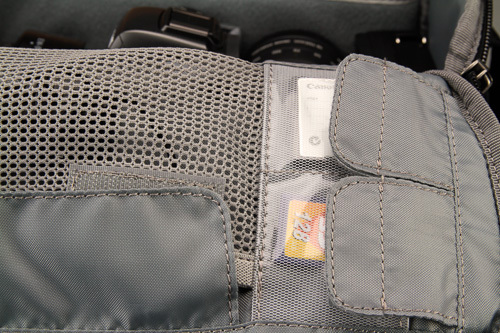 The fact that the media pockets are see through makes up for the fact that they do not have a way to flag the pocket as containing full or empty media cards. 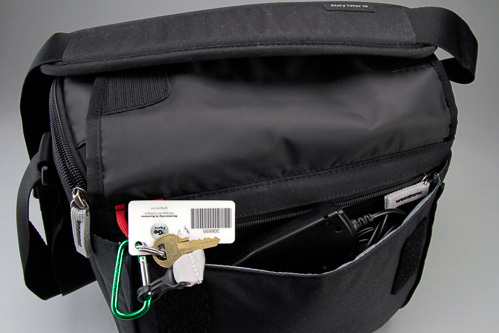 The front pocket contains storage for the included tailor made rain cover and a clip to hold your keys secure. Also more room for extra accessories or personal items. On the outside of the bag there is a stretchy pocket sized for a small water bottle or other items where quick access is needed. The shoulder strap is adjustable with a sliding pad to ease strain. However, the strap is not detachable. In my photographic workflow, I prefer not to have a shoulder strap much of the time. Good review, just what I am looking for to protect my new mirrorless camera.